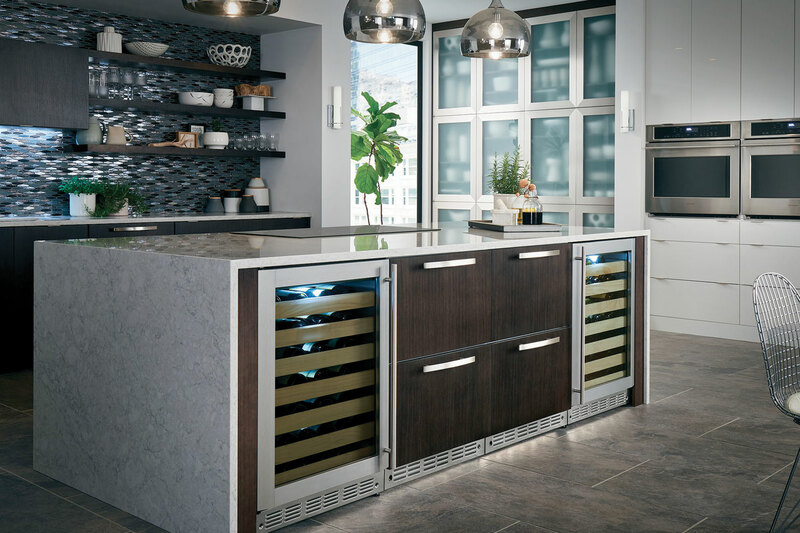 Certified Kitchen Designer Elizabeth Rishel was looking up appliance specs for a client on the GE Monogram website when she stumbled across an announcement about the 2014 Kitchen Display Competition. Her decision to enter the competition paid off! Elizabeth’s entry – “Green with Envy” – took the grand prize. She won $10,000 and a trip to Louisville for the 140th Kentucky Derby at Churchill Downs the first Saturday in May. Elizabeth Rishel was the grand prize winner in GE Monogram’s 2014 Kitchen Display Competition with her “Green with Envy” entry. We interviewed Elizabeth to find out a little more about her design background and advice, as well as her fun experience in Louisville. SRFD: Why did you choose design as your career? ER: Interior design was something I was drawn to as early as I can remember. I chose residential kitchen and bath design as a focus because I love the problem solving aspect as well as the details that go into these spaces. SRFD: Any tips for someone embarking on a kitchen remodel? ER: Do your homework! Before you start you need to know what your goals are and you really should do research into what would be an acceptable budget. Then you need to research professionals to help you through the process. Finding a good designer that is going to listen to your goals and navigate the remodel for you is well worth the investment! They can also help to connect you with a contractor and various trades that you know will do a nice job! SRFD: Did you have a client in mind when you designed this kitchen? ER: I didn’t necessarily have a client in mind when designing the space but I did try and keep in mind the type of client that would be buying Monogram appliances. So I focused on a cook’s kitchen as well as entertaining. SRFD: What did you think of the Kentucky Derby? ER: It was a real treat! We enjoyed every minute and are grateful for the experience! If you’re curious, Elizabeth’s winning entry featured a distinctive angled placement of the Monogram range, a decision that drove the rest of the design. The kitchen also includes a peninsula with nearby wine center, shelving made from reclaimed beams, sleek white quartz countertops, and reclaimed glass tiles, all set against a backdrop of apple green cabinetry. 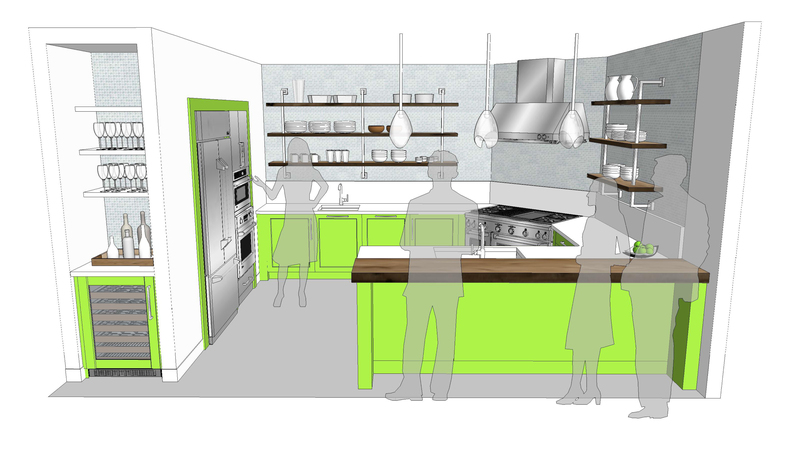 The “Green with Envy” design incorporates a Monogram range, French door built-in refrigerator, oven with Advantium Speedcook technology, two dishwashers, compact refrigerator unit, wall oven and professional range hood. 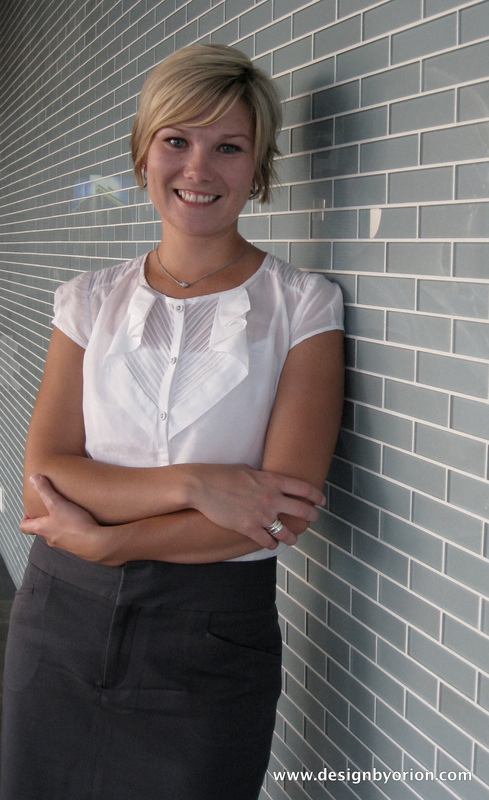 Elizabeth owns Orion Design, Inc. in Kansas City, Missouri, and her company focuses on residential work, primarily kitchens and baths.